Resumes are written for different purposes. To apply for a research fellowship or to apply for higher studies, a person needs to have a professionally crafted resume. However, use of curriculum vitae can extensively be noted in the case of industrial sectors. Sample Resume is mainly utilized for the purpose of seeking jobs in any company. Typically coupled with a cover letter, curriculum vitae plays a major role in fetching the right jobs for us. This document reflects our potential or ability before the potential employers. When it comes to writing a resume, new job seekers or freshers face the most difficulties. 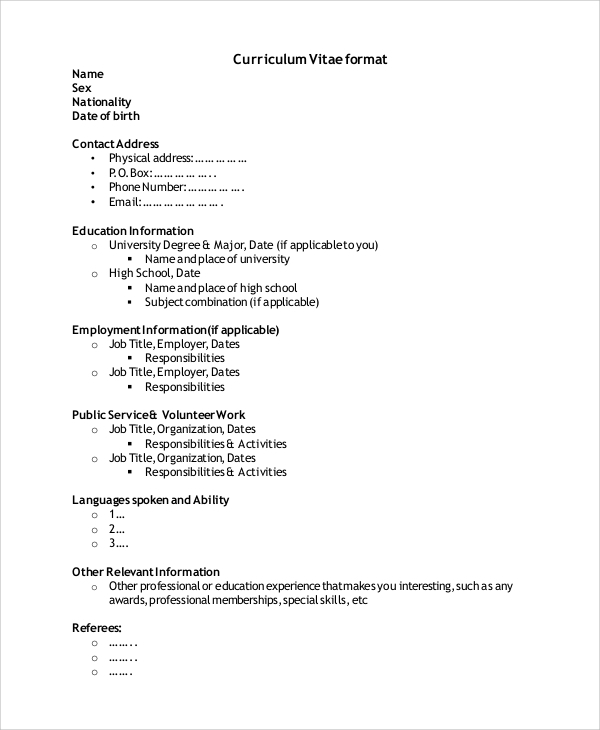 To build your first professional resume with ease, you can simply download this document. 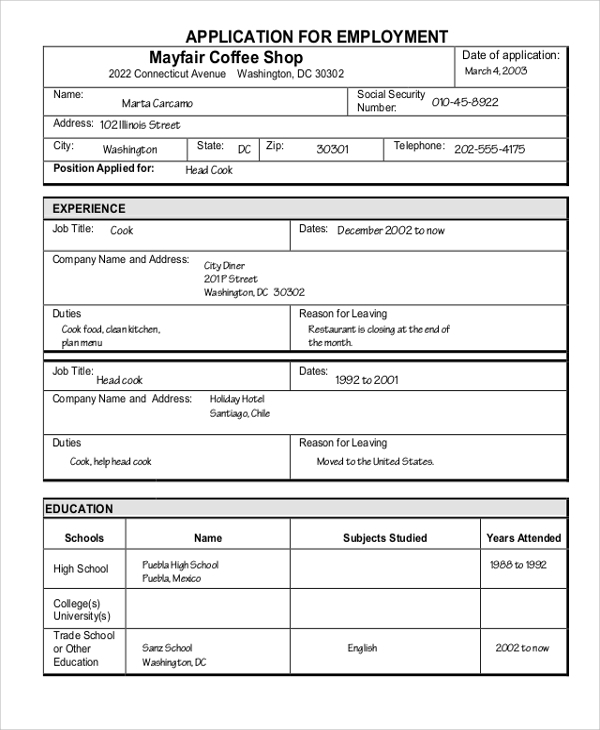 Resumes can still be made powerful and attention grabbing, even though you do not have any job experience. 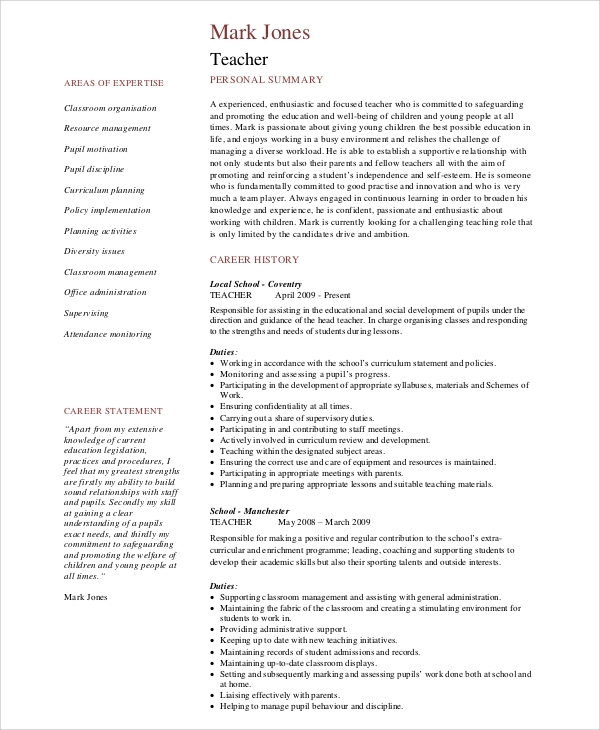 For building such professional resumes with ease and effectiveness, you can use this resume sample. 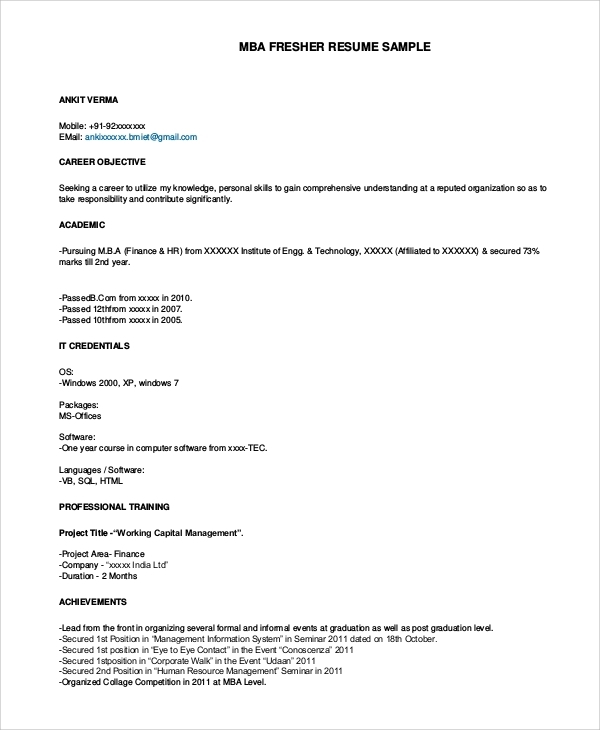 This resume format is suitable for those, who wants to apply for a job. 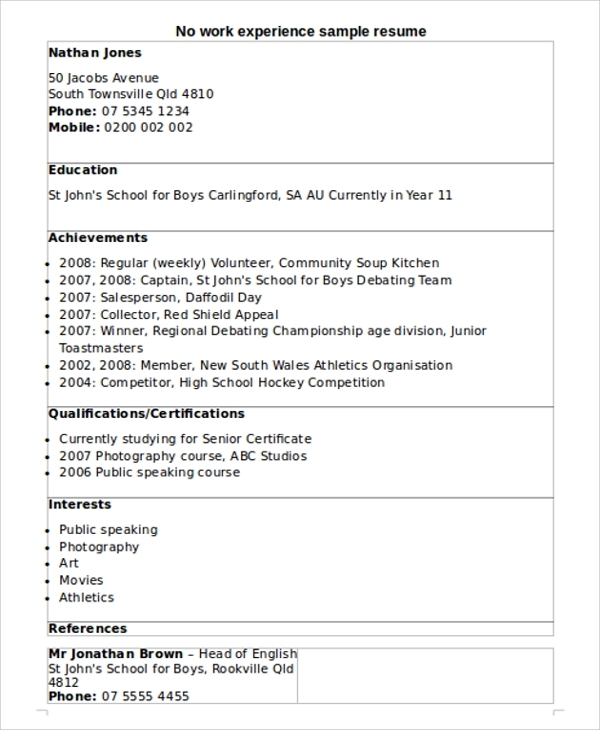 Any professional can use this resume sample to create their CV to have a substantial impact on the minds of the employers. Having a well-crafted resume is a must have for applying for a job. If you have a good resume, your chances of winning the job increases significantly. Use this sample for that purpose. 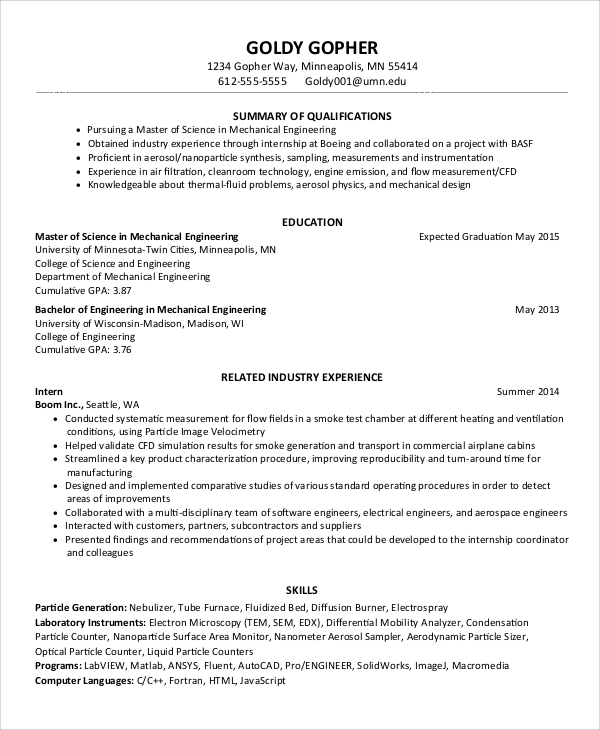 For college students, this is a fine example of job resume. Just after finishing college, students are not well versed with resume writing. For them, using this sample is suggested. Job resumes are typically crafted resumes which have been used by the professionals to apply for jobs. Job Application process is simple and quite standardized these days. You need to submit a resume along with a cover letter to the potential employer. Now, the employer will check the resumes and screen the best candidates for the job. Upon completing screening process, selected candidates will be called for interviewing. So, resume plays a significant role in this initial selection process. Thus, it should be perfectly crafted and correctly formatted. To make your resume better, you can always use the online samples or templates. 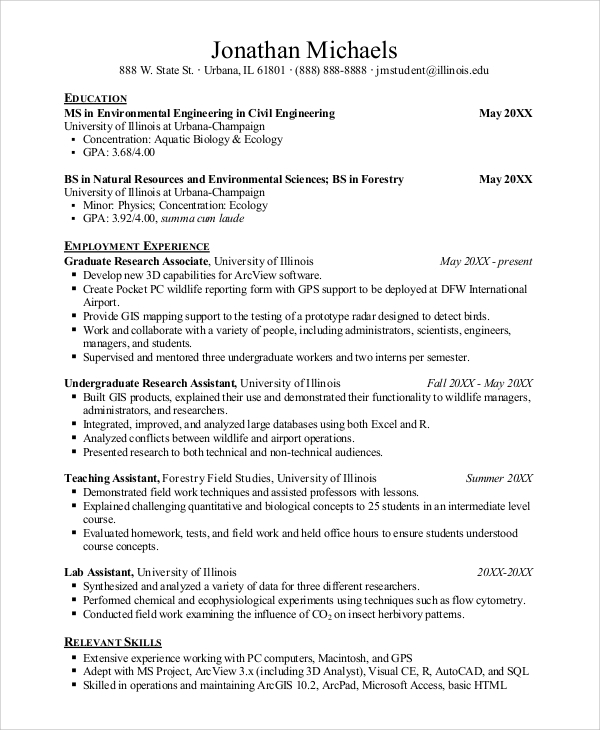 Who should use the Job Resume Samples? Though resume writing is relevant to all professionals, only a few of us know the trick of writing Professional Resumes. We master writing different kinds of professional documents, but the resume is something that can be regarded as completely different. A lot of factors are required to be kept in mind while writing a resume. Most importantly, they should come with a proper structure. If the resume is not well formatted, it will not be easy to be read. 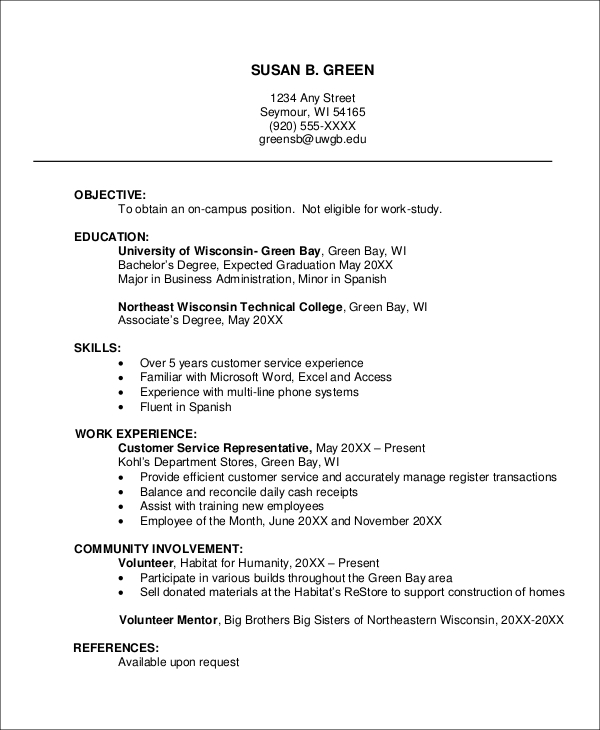 To craft your resume in a better way, you need to find some online samples. Using online resume samples helps a lot from all aspects. It makes the job of writing resumes easier and contributes to following a standardized structure of resume writing. Writing a resume for applying for a job is not uncommon, but your resume should be well formatted and correctly written. Otherwise, it will fail to create an impression in the minds of the potential employers. Make sure your employer is impressed by your resume, and for that reason, you should use these online samples of job resume.